Arnold James "Jim" Doty, 75, of Spotsylvania, passed away at his home on Wednesday, February 6, 2019. Jim was born on March 4, 1943 in Potlatch, Idaho, the oldest child to Leonard and Elizabeth (Strong) Doty. He left Potlatch in 1961 to serve his country in the U.S. Army for 22 years, including two tours of duty as a Combat Engineer in Vietnam, before retiring in 1983. Jim had a post-military career as an auto service manager before fully retiring in 2005. He would be most proud of his work in his senior years, volunteering and working tirelessly to help other veterans get aid and assistance owed to them. Jim was a lifetime member of the Veterans of Foreign Wars Post 3103 in Fredericksburg, the Disabled American Veterans General Washington Chapter 7 in Fredericksburg, and American Legion Post 320 in Spotsylvania. Survivors include his wife of more than 54 years, Katharina (Fritz) Doty; the five children they raised together, Caroline Laperle, Robert (Karen), Cynthia Rakes (Richard), Catherine Rowling, and James; seven grandchildren, Jason Laperle (Regan), Erica Laperle, Michelle Doty, Matthew Doty (Megan), Zachery, Madeline, and Hunter Rakes; one great-grandchild, Jahvon Laperle; four sisters; and countless cousins, nieces, and nephews. He was preceded in death by his parents, two sisters, one brother, and his son-in-law, Steven Laperle. The family will receive friends from 5 pm to 7 pm on Sunday, February 10 at Covenant Funeral Service Fredericksburg. A funeral service will be held at noon on Monday, February 11. Interment will follow the service in Quantico National Cemetery. A reception will follow at the Veterans of Foreign Wars Post 3103, 2701 Princess Anne St., Fredericksburg, Va. Online guestbook at covenantfuneralservice.com. Blanche Olson Weyant, 94, of Bowling Green died Wed. Feb. 6, 2019 at Spotsylvania Regional Medical Center. Born in Staten Island, New York, Mrs. Weyant was the widow of Col. Wallace William Weyant (ret.) and was a member of Calvary Baptist Church and the oldest member of the American Legion Auxiliary, Watkins Post in Staten Island, New York. She loved reading, gardening, handicrafts and sewing. Survivors include her five children, Marsha Bogie, Douglas Weyant, Jim Weyant, Nancy Parke (John) and Richard Weyant (Sherry); three granddaughters, Debbie Frye, Amanda Akrie and Lindsey Weyant; four great-grandchildren and her loving caregiver and good friend, Lourene Payne. A visitation will be held at 10:00 AM Wed. Feb. 13, 2019 at Calvary Baptist Church, 120 Milford St., Bowling Green, VA. A time of fellowship will follow at 11:00 AM. Burial at Quantico National Cemetery will be private. In lieu of flowers, donations may be made to Calvary Baptist Church, P. O. Box 85, Bowling Green, VA. 22427. Sign register book online www.storkefuneralhome.com. 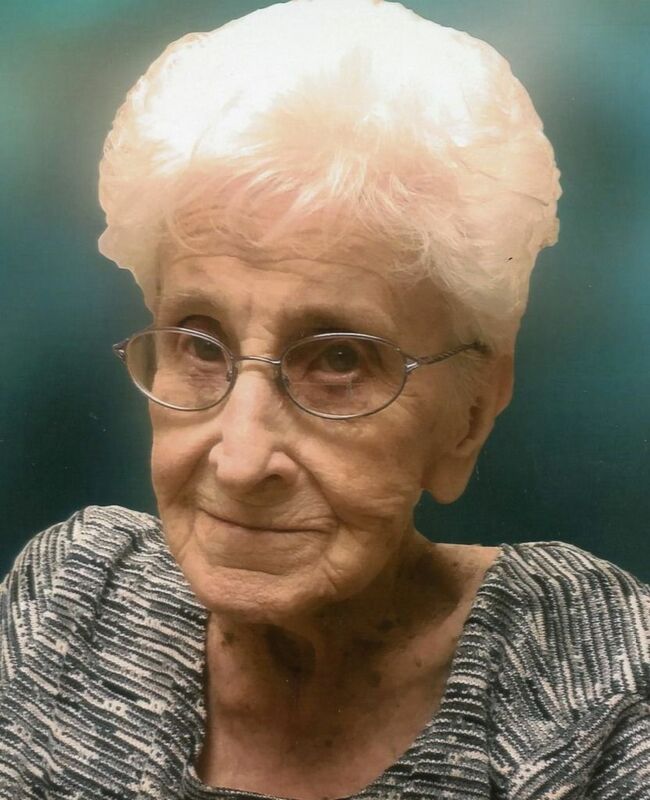 CARLENE SHULER SAXTON Carlene Gilbert Shuler Saxton (85), of Orange died January 29, 2019 at Dogwood Village Assisted Living. A native of Somerset in Orange County, VA, she was the daughter of the late Carson Amherst Shuler and Hazel Gilbert Shuler. She was recently preceded in death by her beloved husband of 65 years, Harry Thomas Saxton, Jr. on November 11, 2018, and earlier by her son, Jon Gilbert Saxton. Carlene was born October 20, 1933. She attended schools in Orange County and was a member of the 1951 graduation class of Orange High School. She attended Westhampton College of the University of Richmond for two years. She and her husband, Harry Saxton, were married in 1953 at "Milford", her parents' home in Somerset, Va. After her marriage, she transferred to the University of Virginia and was a 1955 graduate of the Curry School of Education with a B.S. in Elementary Education. Starting her career in Orange County, she taught at Grymes Memorial School. Later she taught at Critz School in Patrick County, and Southampton Elementary School in Chesterfield County (now Richmond). Returning to Orange County in 1970, they lived in Unionville from where she completed her career in the Orange County School System. Her last 19 years before retirement were spent teaching fifth grade at Lightfoot Elementary School. Among her community activities, she particularly enjoyed her membership in the Rapid Ann Garden Club and St. Thomas Episcopal Church. Survivors include two sons, Harry Thomas Saxton III of Lynchburg, Michael Shuler Saxton and wife, May Crenshaw of Orange, seven grandchildren: John of FL, Erin of DC, Rachel of VA, Sarah and husband Mike of VA, Michael and wife Shabiba of NJ, Thomas of WA, and Maria Saxton of VA; and one great grandchild, Virginia May Millett. A joint interment for Carlene and Harry will be held at Graham Cemetery at 2 P.M. Saturday, February 16th with The Rev. Dr. Linda Hutton of St Thomas Episcopal Church officiating. Preddy Funeral Home of Orange is in charge of arrangements. Memorial gifts may be made to St. Thomas Episcopal Church,119 Caroline St, Orange, VA 22960. Juanita H. Robinson, 81, of Spotsylvania passed away Monday, February 4, 2019. Survivors include her children, Terry Guevara and Janice Robinson; seven grandchildren; 12 great-grandchildren; and siblings Agnes Labbe and Willie Roberts. A family night will be held from 6 to 8 p.m. on Friday, February 8 at Covenant Funeral Service, Fredericksburg. A graveside service will be at 10 a.m. on Saturday, February 9 in Sunset Memorial Gardens. Online guestbook at covenantfuneralservice.com. Michael James Limox, 57, of Port Charlotte, Florida passed away Sunday, February 3, 2019. Mike was special. He had a sweet smile and spirit, and was extremely loving. Mike enjoyed being with his family; especially watching Andy Griffith and Westerns with his dad. He enjoyed food, especially cake and ice cream, and bike riding. Mike loved traveling and had an amazing sense of direction. He loved reading his Bible, and especially loved listening to gospel music. Mike was always excited to praise God, and others were encouraged to worship God due to Mike's worshipful example. Mike is greatly missed already, especially by his family. We look forward to the day to be with him again in heaven. He will always have a special place in our hearts. Survivors include his father, Gus James Limox; siblings Diana Layne (Billy) and Steve Limox (Alvie); aunt and uncle John & Margie Wilkins; nieces Kristen, Victoria, Amanda and Leanne; nephews Steven, Christopher, Tom, Matthew, Michael, Jeremy, Joshua and Kyle; and many great-nieces, great-nephews and cousins. He was preceded in death by his mother, Lorene Limox. A service will be held at 10 a.m. on Monday, February 11 at Covenant Funeral Service, Fredericksburg. The family will receive friends from 9 to 10 a.m. at the funeral home. Interment will follow in Oak Hill Cemetery. In lieu of flowers, donations may be made to Tidewell Hospice, 1144 Veronica St., Port Charlotte, FL 33952. Online guestbook at covenantfuneralservice.com.